We are now live-streaming our Sunday Sangha! You can join us here. Sunday Sangha is a Dharma practice community in the Insight Meditation lineage. All who want to engage in inner exploration, discovery, and transformation are welcome. What you bring to your own practice in terms of energy, interest, and commitment will determine the result. Join us! Our primary offering right now is the Sunday Group, a weekly practice group led by our teacher Will Kabat-Zinn that consists of a 35 minute sit followed by an hour long Dharma talk or teaching. More classes and intensive practice programs will be offered in the near future. At Sunday Sangha we engage in a variety of practices from the Insight Meditation lineage to quiet our minds, unify our fragmented attention, and look deeply into the nature of our own hearts and minds. When we gather and stabilize attention in the present we can see with penetrating clarity into the contents and processes of our own minds. This practice reveals habitual patterns and deep identifications that we cling to for security and build our identities around, and into the very nature of experience itself. We start to see that everything in our experience is continuously arising and passing, that it is selfless in nature and becomes limiting only when identified with and clung to as I, me and mine. As the clarity of our seeing deepens we stop grasping so desperately at fleeting objects and experiences, stop trying to anchor our identities in that which is unreliable, selfless and impermanent, and relax into the groundless being which is our own deepest nature and true home. Will Kabat-Zinn is a mindfulness and meditation teacher whose passion is to help people wake up to their own deepest nature. He spent close to a decade in and out of silent retreat, primarily in the Insight Meditation tradition and was deeply influenced by the late Sayadaw U Pandita of Burma and Chan Master Sheng-Yen. 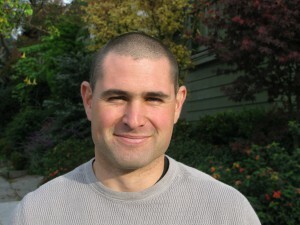 Will is a member of the Spirit Rock Teacher’s Council and Board of Directors. He lives in the East Bay with his wife and two children.